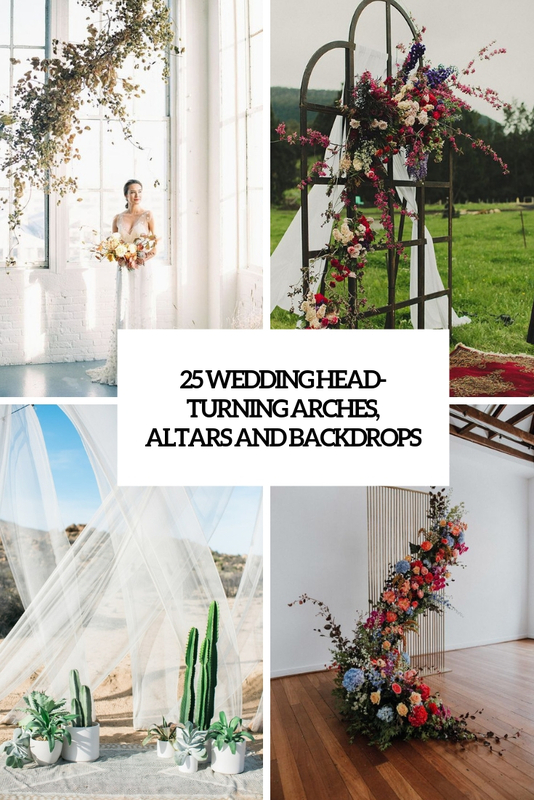 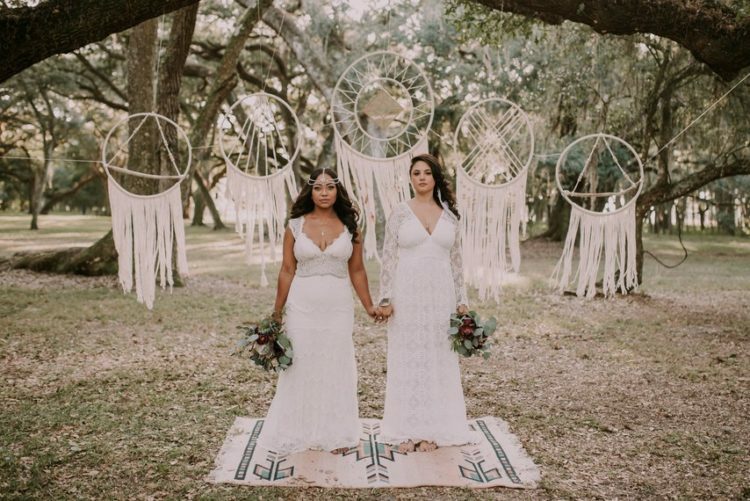 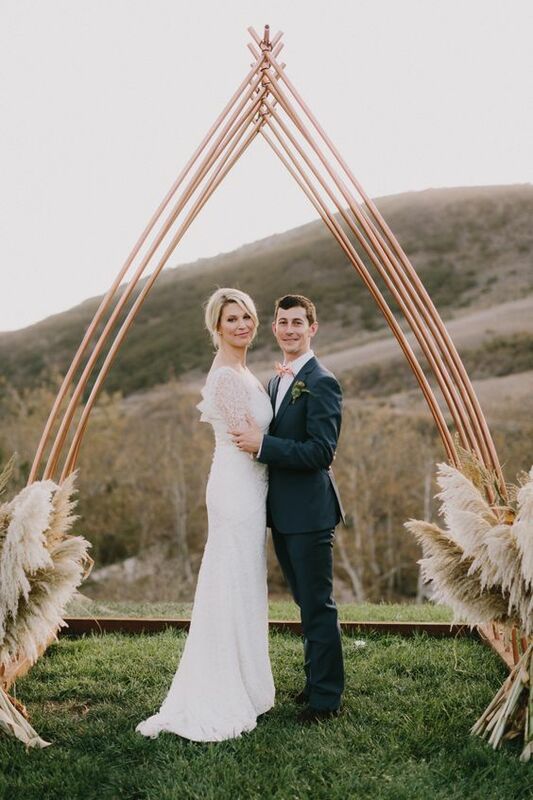 I bet you’ve seen many wedding arches and altars looking for your own one, including trendy options like triangular altars, semi-circular arches on the ground, giant wreath arches and others. 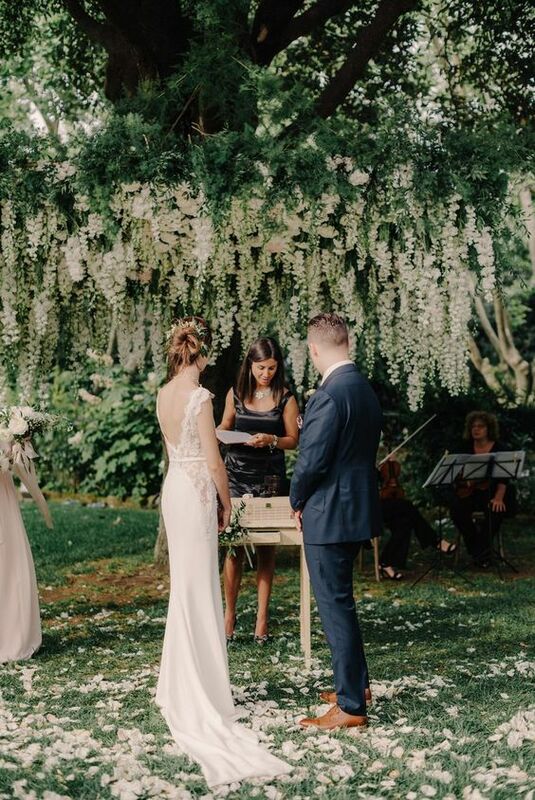 Still haven’t found your perfect piece? 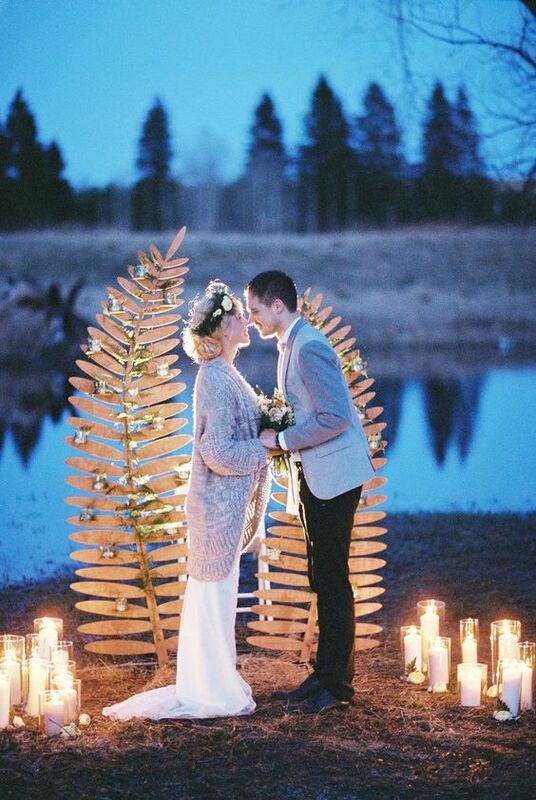 Let me share some bold and catchy ideas you may like. 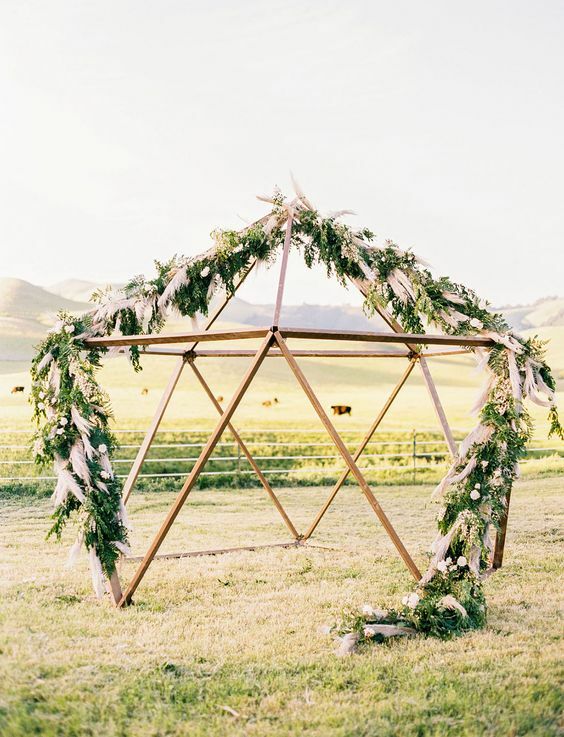 Arches can be bold and unusual! 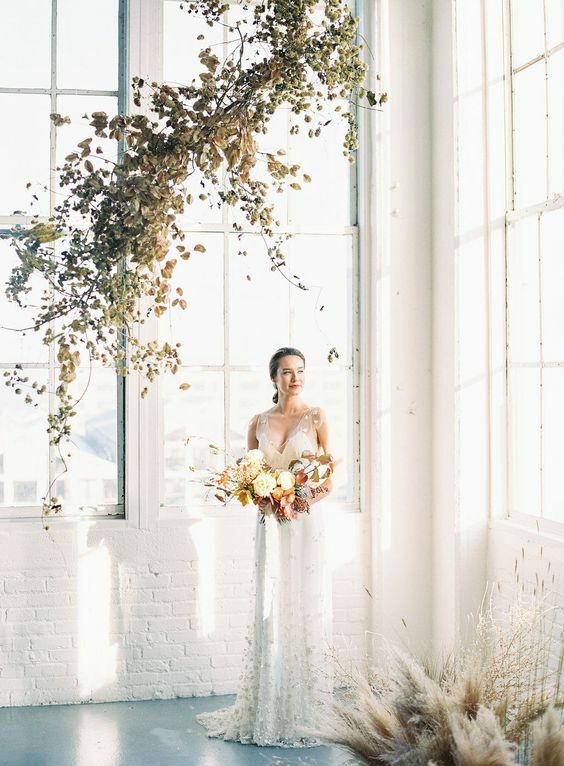 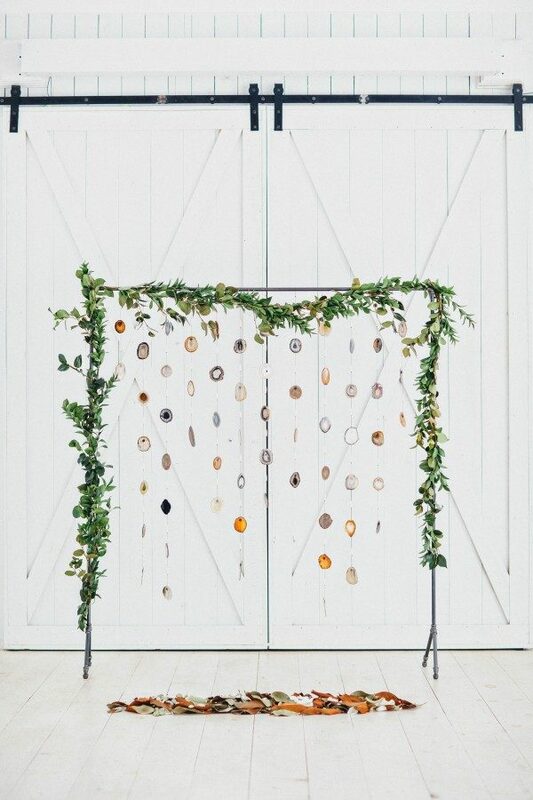 Go for creative shapes and try unusual decor – don’t limit yourself to usual greenery and blooms, think of something special like agate slices hanging down, pampas and other grasses or just leave the branches uncovered and surround the arch with potted plants and cacti for a touch of eco-friendliness. 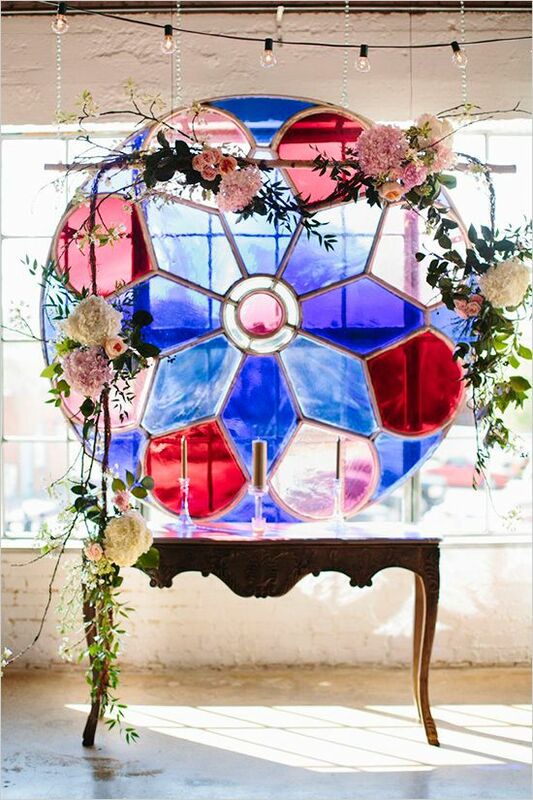 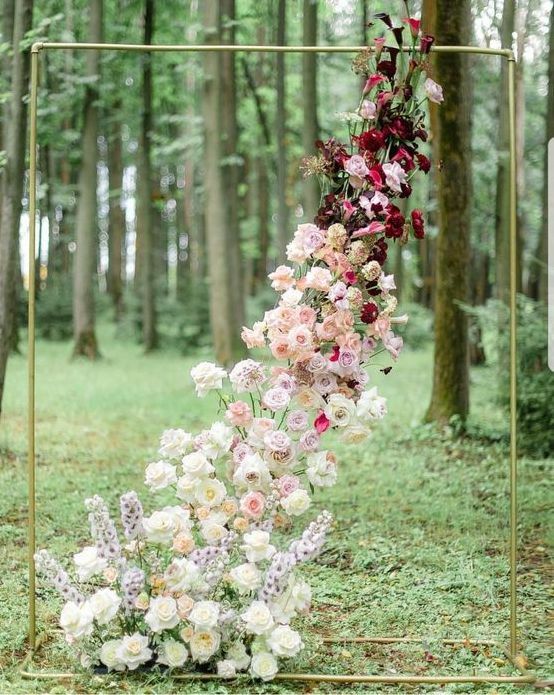 Speaking of a unique wedding altar, I can say that you can really get anything you can visualize, from a mirrored or acrylic altar to a hanging installation. 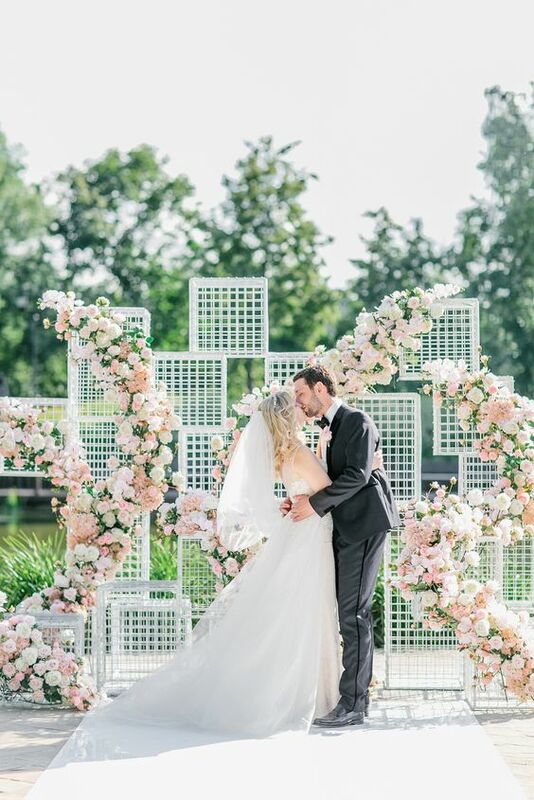 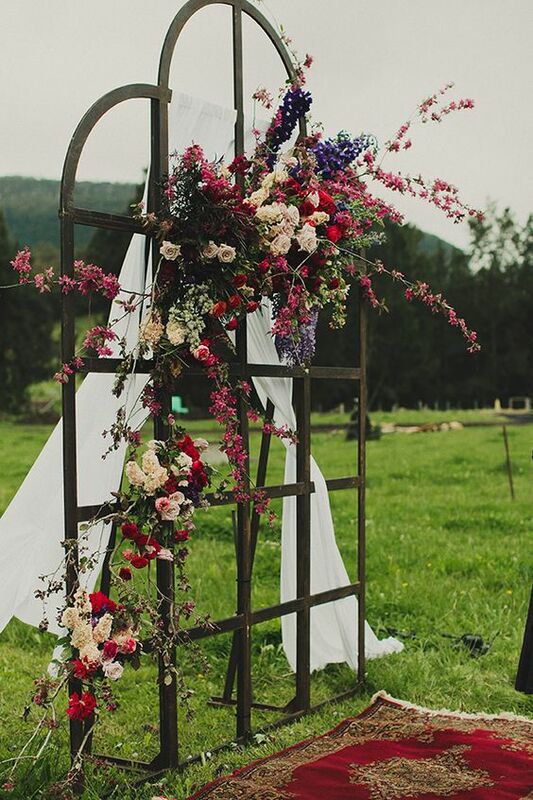 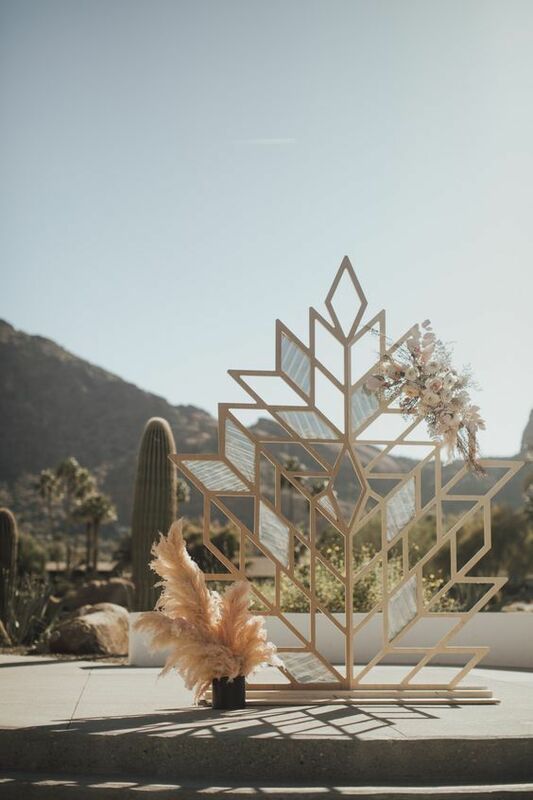 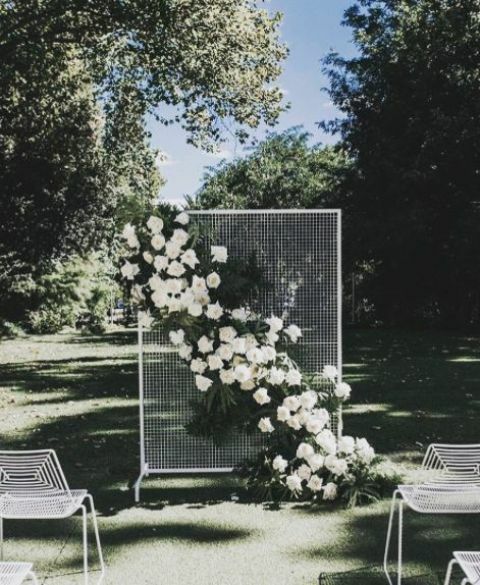 The altar can be made of forged or wooden frames decorated with greenery and blooms, of mesh screens decorated with blooms and greenery – the thinner the screens are, the airier and more ethereal the altar will look. 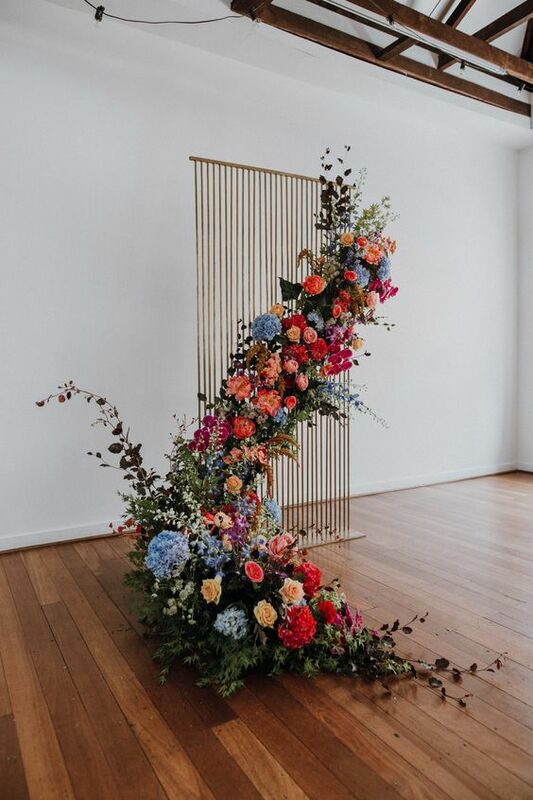 you may order an asymmetric floral installation on the ground or hanging above your head – such a piece will make the space refined, and it’s indoors, it will feel like outdoors. 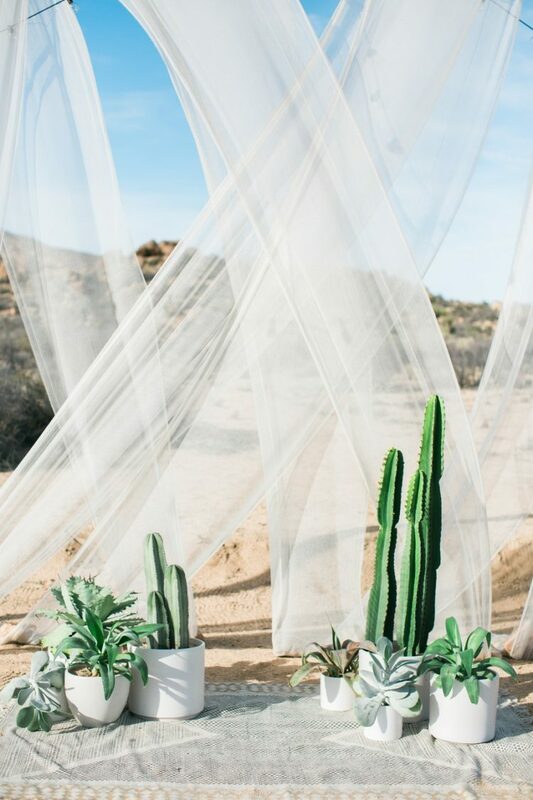 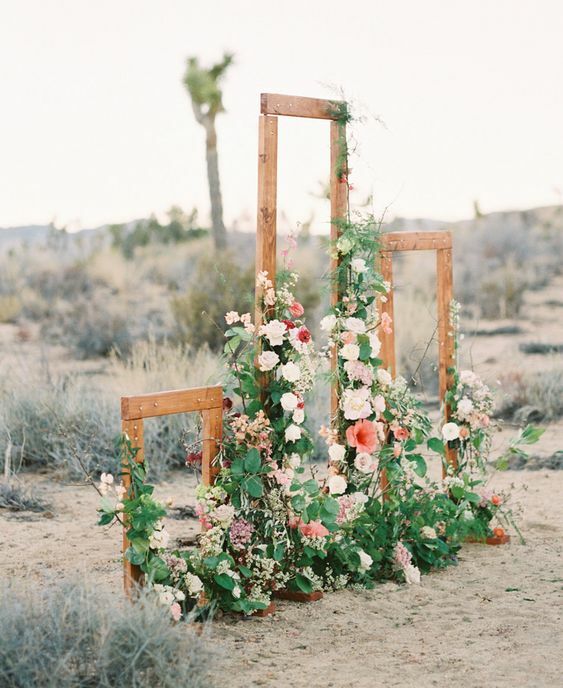 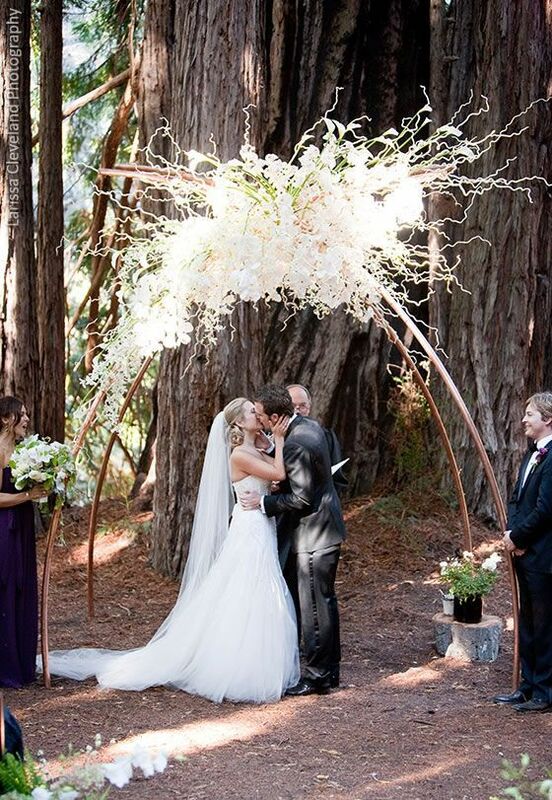 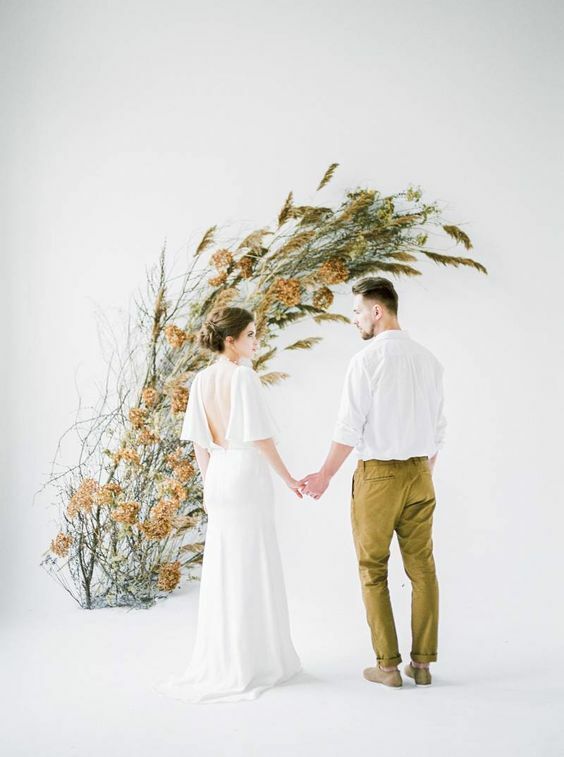 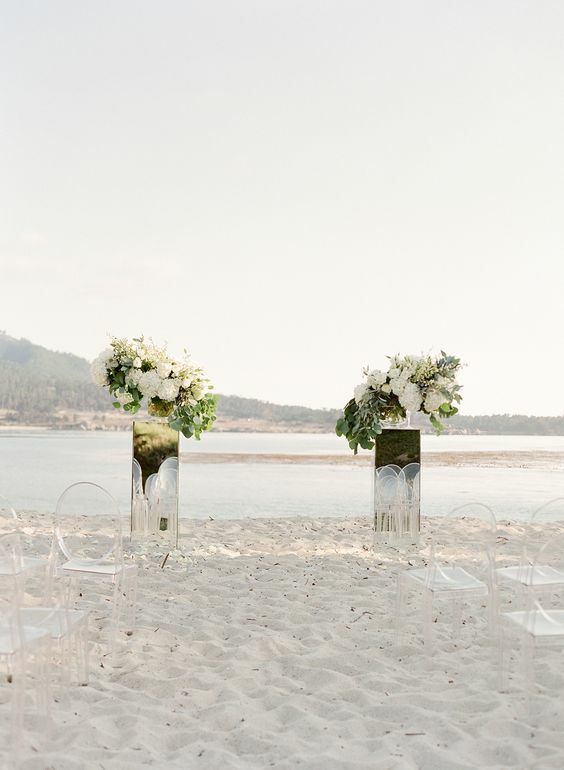 A desert wedding ceremony can be decorated with sheer drapes, cacti and plants and pampas grass. 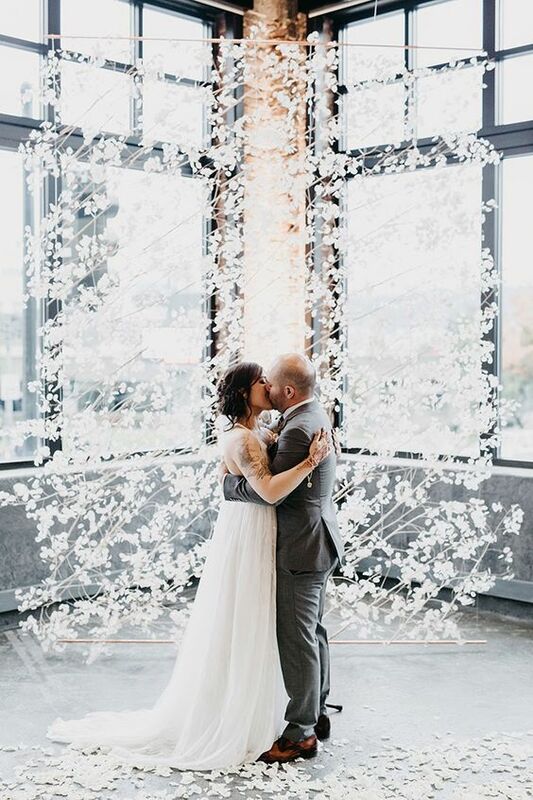 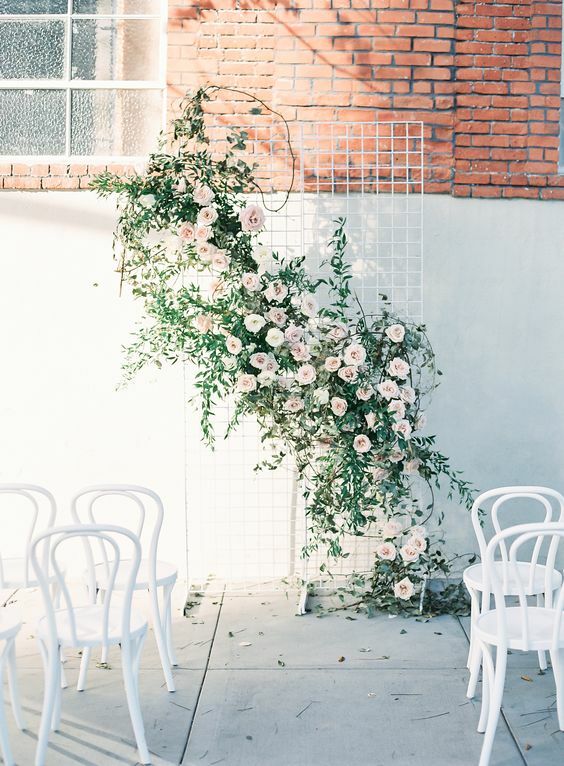 Wedding backdrops seem to be endless! 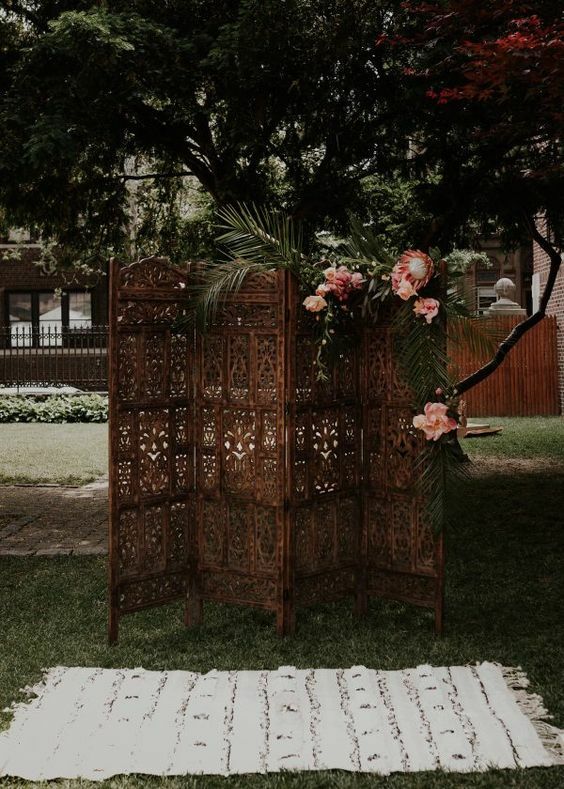 Colorful glass mosaics, geometric wooden backdrops with metallic decor, lunaria curtains, vintage carved wood screens and much, much more! 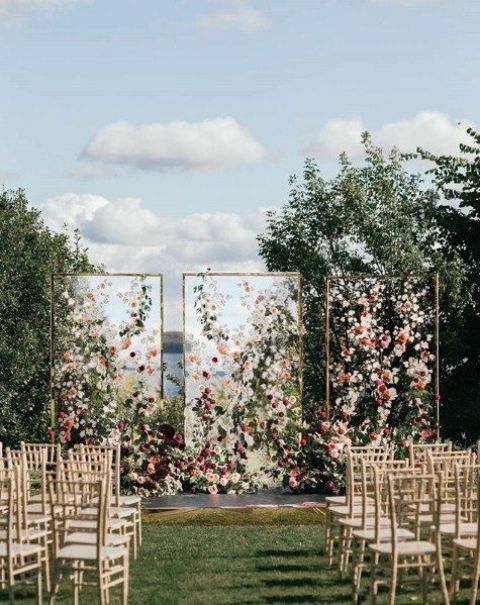 Acrylic screens decorated with blooms and greenery look ethereal and the blooms seem to be floating in the air. 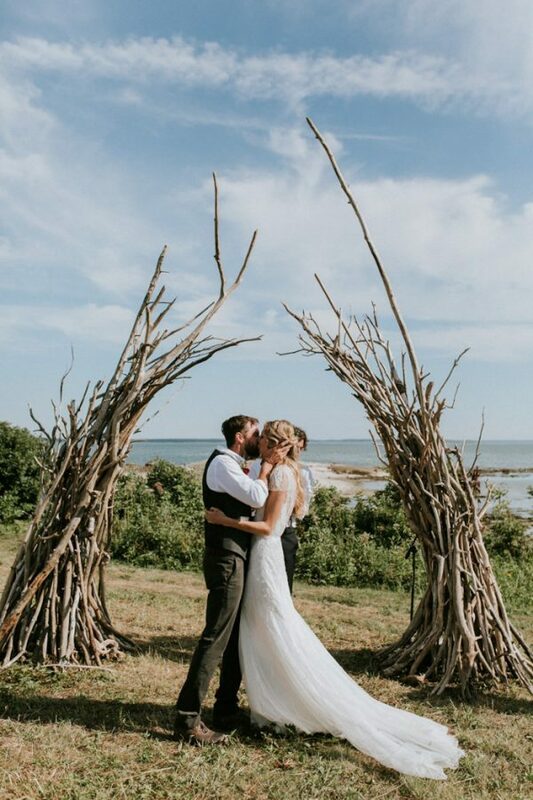 You can easily find a unique option for your wedding, just take a look at our ideas!